Your Game of Thrones day starts at 9.00am in our main office opposite the famous Palau de la Musica. While you wait for your tour to begin, you can get in the mood by watching some video clips of the actual show filmed in Girona, alongside some photographs taken during the filming. Your guide will explain the main sites and locations you will visit, as well as the schedule for the day. The drive to Girona takes just over an hour, and on the way your guide will tell you all about the history of this medieval town, and tell you some interesting stories about the actual filming in the town. Once you arrive in Girona, you will be taken on a comprehensive tour of all the main film locations, and you'll be able to stand on the exact same spots as your favourite characters. 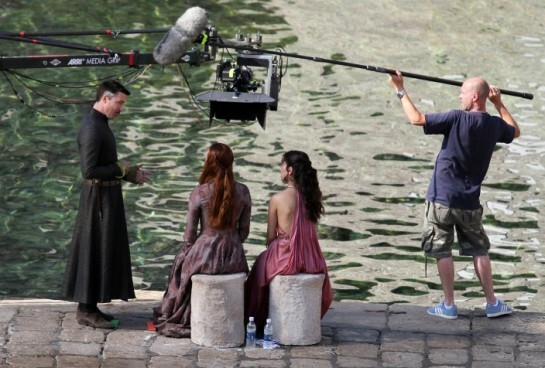 With the help of photographs taken during the shooting, we'll try to build a picture of what filming was like, and how it transformed the town of Girona into King's Landing! After about one and a half hours, we will take a break and treat you to specially made local icecream, created in honour of Game of Thrones, and call "The King's Hand". You will now have about an hour of free time to explore other parts of medieval Girona on your own. Explore the Roman Walls, discover the Jewish Call, and soak up the atmosphere of the beautifully preserved medieval jewel. At around 1pm, we will meet for lunch in a traditional medieval restaurant. After lunch at around 2.30pm, we will head to a carefully preserved medieval village. After an hour long guided visit, we will head back to Barcelona arriving between 5 and 6pm.